There are some people, who tried gambling and decided to share their experience and knowledge in the field. Some of them were successful, some were not. Some played legally, some cheated. Here there are some of the books with the legal strategies and tips. 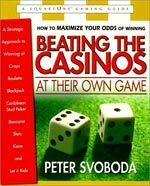 If you are a beginner and would like to know some details about gambling games, you might like the book written by Peter Svoboda. 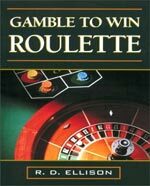 It explains some basics of such games, as roulette, blackjack, craps and baccarat. But if you are quite familiar with the systems, it might be not enough for you. Also there are some strange things about the odds, where the author says that the house always keeps 5.26% odds but you can increase your odds by playing smart. It is strange, as the odds are stable and remain the same in roulette. 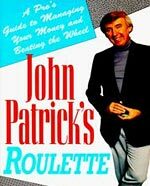 It is one of the good books about gambling. Why? Because the author explains how you should play with the money and teaches money management. Although he does a lot of repetition but it is worth reading, as you can learn some discipline at your bankroll management. R.T. Barnhart is writing about biased wheels, which are slightly possible to find nowadays. Also his manner of writing is rather light and includes the stories which make the information easier to accept. He also mentions arithmetic of an unbiased wheel, how to play on a single number, what is the probability of the long runs. What is the most interesting is that he gives practical advice how to detect a biased wheel. 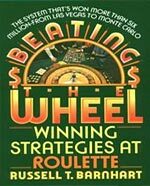 The author tells you about the details of the American, French and Europeans roulette layouts, inside and outside bet returns. Also he divides the game into sections, where he separately is talking about buys-in, bankroll, sessions, series and parlays. He mentions the dealer's mistakes and how he corrects them. R.D. Ellison covers some of the most famous strategies, like Martingale, Oscar's Grind, Martingale variations and so on. What is the most interesting is that the author is talking about psychological aspects of the game.